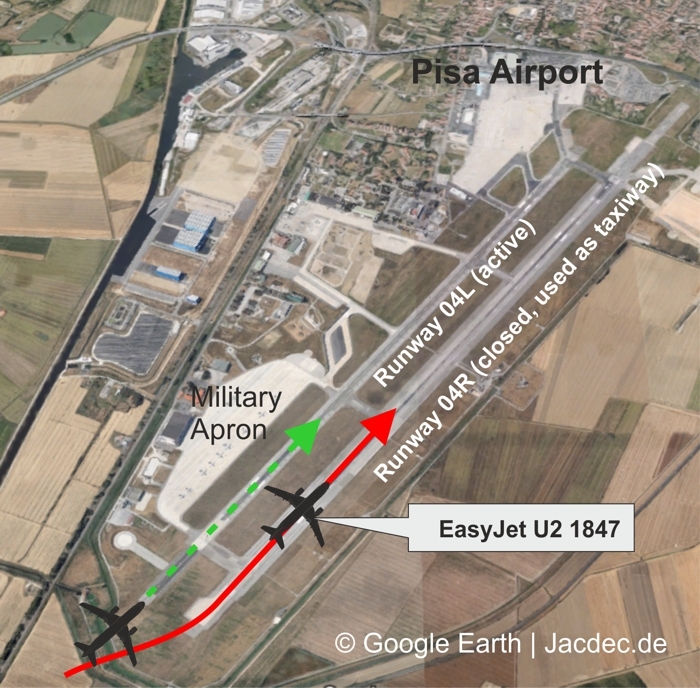 The aircraft erroneously landed on a taxiway formerly used as a runway at Pisa, Italy. The pilots completed the landing safely and taxied to the ramp. On final approach to runway 04L(eft) at Pisa San Giusto Airport, Italy, tower cleared the aircraft to land on runway 04L(eft). 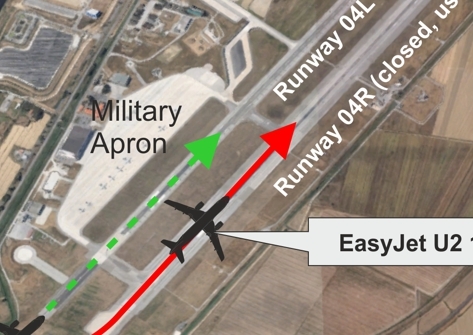 However, the pilots landed on the parallel runway 04R now in use as a taxiway. The pilots slowed down normally and vacated to the ramp without any potential conflict to other ground traffic. The return flight was cancelled and the Airbus departed Pisa for a ferry flight (EZY 9004) to Luton.